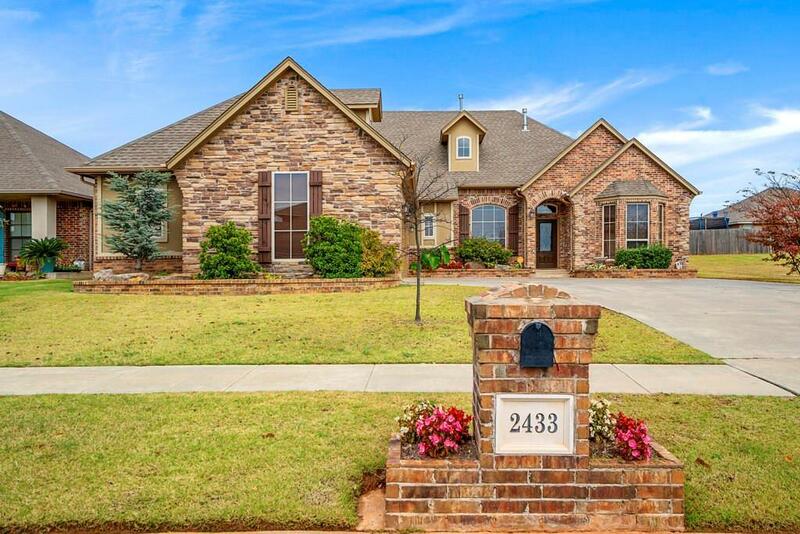 "EXCEPTIONAL HOME IN ROCK CREEK" Awesome Floor Plan with LOTS of UPGRADES. The Living Room and Study features a 2 Way Gas Fireplace with Raised Hearth. Beautiful Custom Woodwork throughout the Home. Kitchen with Old World Stone enclosed Builtin Cooktop, Island with Bookshelves, Pass through to Living, Pantry and Spacious Breakfast Nook. Formal Dining and Office with Wood Flooring. Master Bedroom features a Sitting Area with Luxurious Master Bath has a Walkin Shower with Bench Seat, Separate Vanities one with Knee Space, Jetted Tub, Medicine Cabinets. 4th Bedroom could be used as Bonus Room, has Kitchen Style Cabinet with Sink, Half Bath and Closet Area. Lots of Storage in Home and under Stair Well. Oversized 3 Car Garage with Large work Bench and Cabinets. Great Community with Playgrounds, Swimming Pool and Club House. AWESOME CURB APPEAL.